Broncos Gab - The Definitive Denver Broncos Blog! The 2019 NFL Schedule is out – and Broncos fans you can start to look at what trips you want to take and days off as well! Here it is – the complete 2019 Broncos slate! The Broncos have agreed to trade quarterback Case Keenum to the Washington Redskins, sources confirmed to Adam Schefter of ESPN on Thursday. 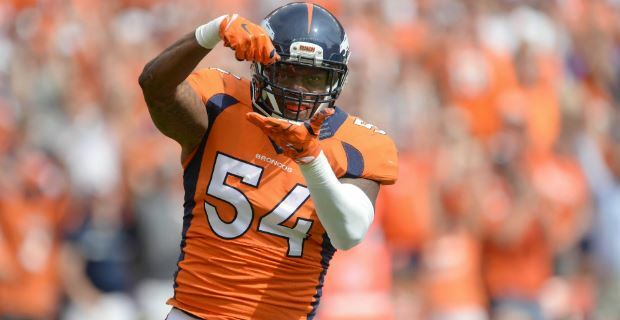 The Broncos are not picking up the option on linebacker Brandon Marshall, but that’s not stopping the veteran from wanting to be back in Denver in 2019. 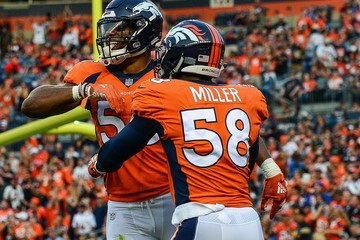 TMZ caught up with the 29-year-old Marshall, who says that he’d like to be back in the Mile High City playing with the Broncos this upcoming season. Marshall not only lives in the Denver area, but he’s also heavily involved in the local community and considers Denver home. But, for a return to Denver to make sense, it has to make dollars. Marshall was limited to 11 games in 2018 due to a knee injury — but still logged 42 tackles. He has the most solo tackles of any Broncos player since 2013. Over the course of his career, Marshall has 419 tackles, 6.5 sacks, 4 forced fumbles and 2 interceptions. He also has a Super Bowl ring from the Broncos victory over the Carolina Panthers in Super Bowl 50. Not bad for a guy selected in the 5th round of the 2012 NFL Draft. 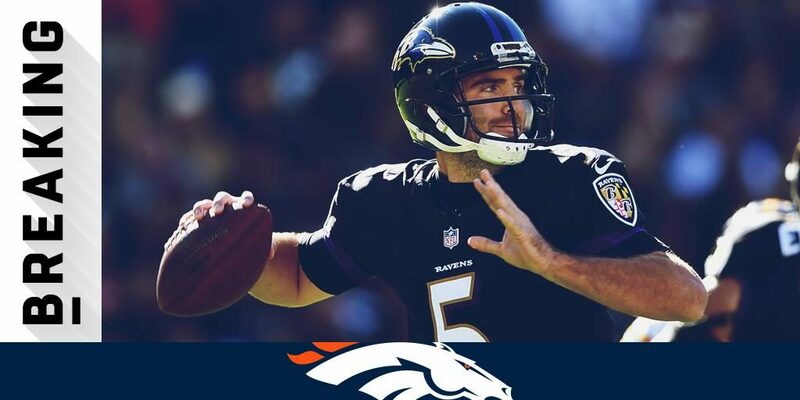 Unhappy with the way Case Keenum played in 2018, the Broncos are again shifting gears at the quarterback position, as the team has a deal in place with the Baltimore Ravens for former first-round pick and Super Bowl MVP Joe Flacco. While the deal is ‘in place’ according to Adam Schefter of ESPN cannot be completed until the new league year begins on March 13th. 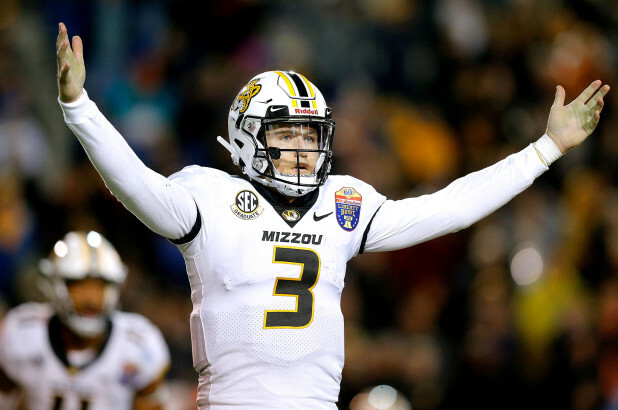 The 34-year-old is a short term answer for the Broncos, who have the 10th overall pick in the 2019 NFL Draft and likely will be looking at quarterback. Last season with rookie Lamar Jackson waiting in the wings to take the QB job, Flacco was 4-5 as a starter, and threw for 2465 yards with 12 touchdowns and six picks. The trade does indeed mean the end for Keenum, who was pretty bad for the most part last season with the Broncos missing the postseason. 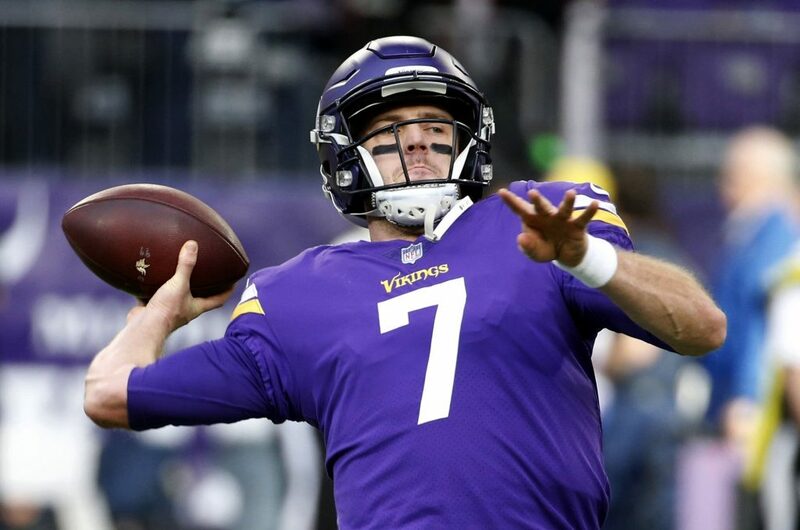 The team inked Keenum, who was with the Vikings before coming to Denver, to a two-year, $36 million dollar contract in last year’s free agency. He is due $18 million in 2019, with just $7 million guaranteed. The Broncos will carry $10 million in dead money if they cut him. Look for Flacco to start the season for the Broncos, and also for him to mentor whatever QB the team drafts in April. 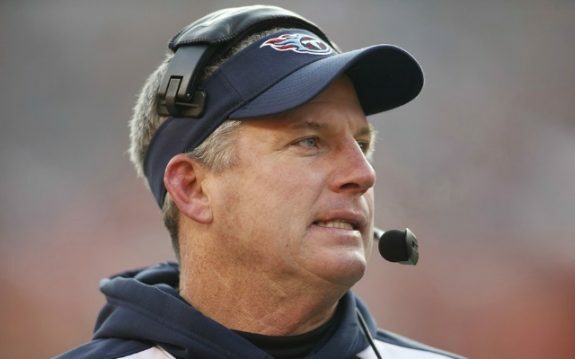 Mike Munchak, one of the five candidates who interviewed for the Denver Broncos’ head-coaching job, has agreed to join Vic Fangio’s Broncos staff as offensive line coach, sources told Jeff Legwold of ESPN. Fangio was formally named the Broncos’ head coach Thursday. He and Munchak were believed to be the two finalists for the job after Vance Joseph was fired Dec. 31 after two seasons on the job. Munchak interviewed Jan. 4 with Broncos president of football operations/general manager John Elway and other team officials. Munchak, a member of the Pro Football Hall of Fame’s Class of 2001, will coach a group that includes the team’s 2017 first-round pick, Garett Bolles, and could see some turnover in the offseason, given two of the starters — center Matt Paradis and tackle Jared Veldheer — will be unrestricted free agents and three starters (Paradis, guard Max Garcia and guard Ron Leary) finished out the season on injured reserve. Bolles has been one of the most penalized linemen in the league in each of his first two seasons. Bolles was flagged 14 times this past season, including 11 for holding, and was flagged 15 times as a rookie in ’17, including 10 for holding. 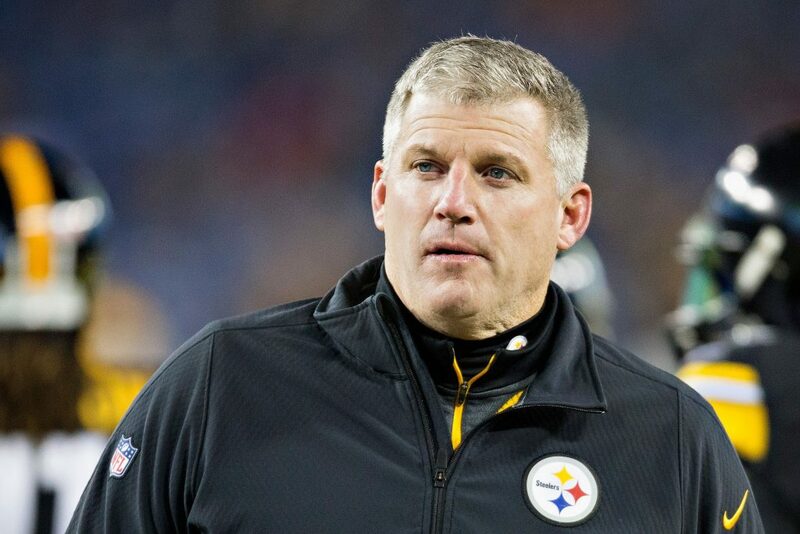 Munchak has been the Pittsburgh Steelers’ offensive line coach for the past five seasons. The 58-year-old was a nine-time Pro Bowl selection and a four-time first-team All Pro selection in his playing career. As a coach he has long been considered one of the best offensive line coaches in the league, a tough-minded, even-keeled motivator whose former players have consistently praised him. 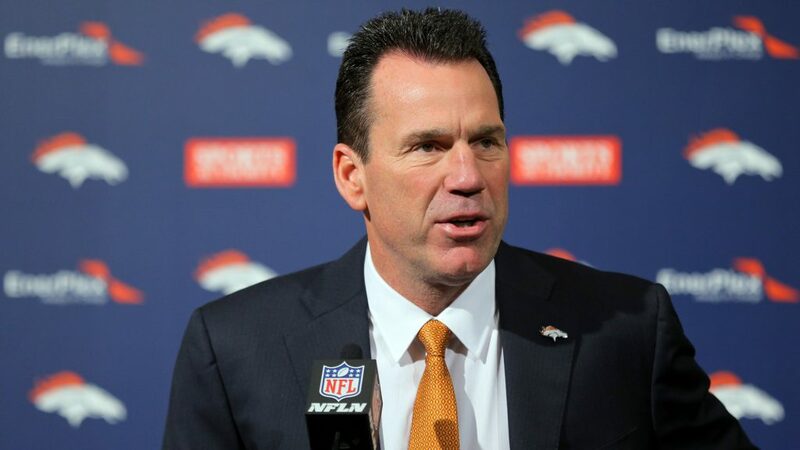 In a shocker that not a lot of people saw coming, the Broncos will not be giving the offensive coordinator job to former head coach and senior advisor Gary Kubiak. ESPN first reported the news that Kubiak, who was the Broncos coach for their last Super Bowl, is not going to take the role on the offense. Gary Kubiak will not be Denver’s offensive coordinator, league sources tell ESPN. After lengthy discussions, Denver and Kubiak had different ideas on staffing and offensive philosophies. Both sides going in different directions. GM John Elway had stated that Kubiak and new head coach Vic Fangio met about a bigger role on the coaching side for Kubiak, but obviously there was not a fit. For now Kubiak remains under contract with the Broncos on the personnel side of the organization and any interested team would need to be granted permission to interview him. The Denver Broncos liked what they saw from Steelers OC Coach Mike Munchak, and might be taking away offensive line coach from the Steelers to coach in Denver. The 58-year-old Steelers coach has been around the NFL for quite awhile, as he’s coached in the league for more than 20 years. He worked his way to becoming the head coach of the Tennessee Titans, going 22-26 as the head coach of the Titans from 2011-13. He was hired by the Steelers in January 2014 and spent the last five years as the team’s offensive line coach. Munchak would make a solid addition to Vic Fango’s new staff as he continues to fill holes on the coaching staff.